Hercules (Farnese) standing right, leaning on club wrapped in lion's skin. I in left field, ANT Star in Exergue. Minted at officina 10 (I) in Antioch (Antakya, Turkey) in 313 A.D.
hinterlassenen Sammlung und Aufzeichnung des Herrn Paul Gerin" (Voetter-Gerin), Antiochia, Licinius pater, p45, #19. 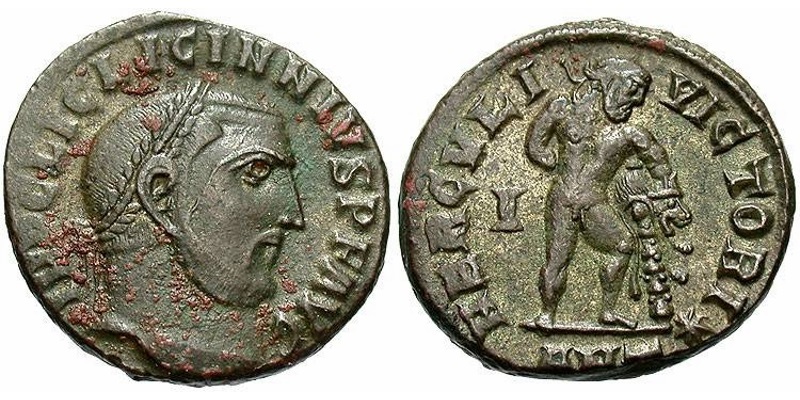 Sear, D.R., "Roman Coins and their Values" (RCV Millennium Edition), Vol. 4, p375, nr. 15200, corrected (LICINNIVS). Cohen, H, "Descriptions Historique des Monnaies frappees sous l'Empire Romain" (C), Volume 7, p194, nr. 60. 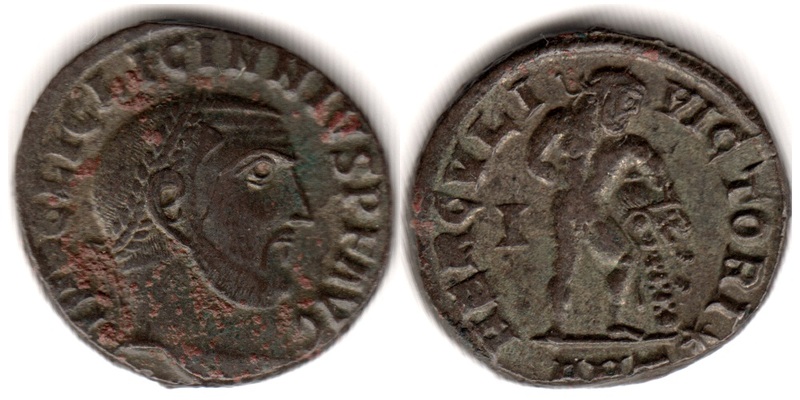 Failmezger, V., "Roman Bronze Coins From Paganism To Christianity 294-364 A.D." (Failmezger), nr 201LI.